The Mark Hunke Real Estate Team is a dedicated group of Denver Real Estate experts. We cover homes for sale in Denver and Surrounding areas of Castle Rock, Centennial, Lone Tree, Highlands Ranch, Littleton, Parker and Aurora South. 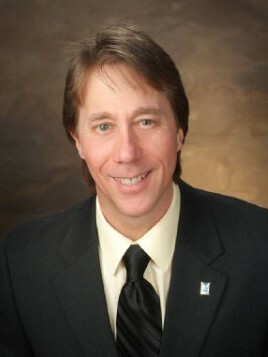 Hi my name is Mark Hunke with The K Company Realty. I want to thank you for visiting my web site please continue to use my web site it is a great resource for property information and is easy to use. I have had my Real Estate license since 1986 and have been working full time helping buyers and sellers since 2000 and do about 30-40 transaction a year. I have a wealth of Knowledge and experience with all aspects of the real estate and Lending business so please trust me as a resource for your real estate needs. I pride myself on providing my clients with outstanding service with an open line of communication and will go above and beyond to provide you the best service with honesty and integrity throughout the whole process. I provide all my clients who purchase a home with me a free one year home warranty on the home that I help them purchase. I have lived in Colorado since 1970 and know the whole metro area and surrounding areas very well and can help out of state buyers get educated about the different areas of the metro area that they may be interested in purchasing a home. I look forward in helping you with your Real Estate needs and making it an enjoyable experience. READY TO MOVE IN! This condo has some upgrades, including all appliances, newer paint and plantation shutters on all windows. This unit comes with the usage of a detached garage, reserved parking spot and a storage unit. Sold a Single Family home in 2018 for approximately $325K in Northglenn, CO.
My wife and recently decided to sell our home in Northglenn, CO. Three years earlier, we purchased the home using Mark Hunke as our buying agent. Our experience with Mark in purchasing our first home was exceptional so we knew right away to call Mark again when it came time to sell. Mark has a tremendous amount of knowledge and expertise regarding the Denver Metro Real Estate market and provides a first class experience. He is attentive to your wants and needs, but also realistic when it comes to determining price and value of the home. Mark made us feel like we were his only client, when in reality he is dealing with several deals at once. The best part about dealing with Mark is he will listen to your input and work with you to set honest expectations about your home buying or selling experience. He has top notch partners in the inspection and home repair space that will provide great work at a fair price. If you are looking for an honest and attentive agent, Mark Hunke is the agent you are looking for when buying or selling a home.